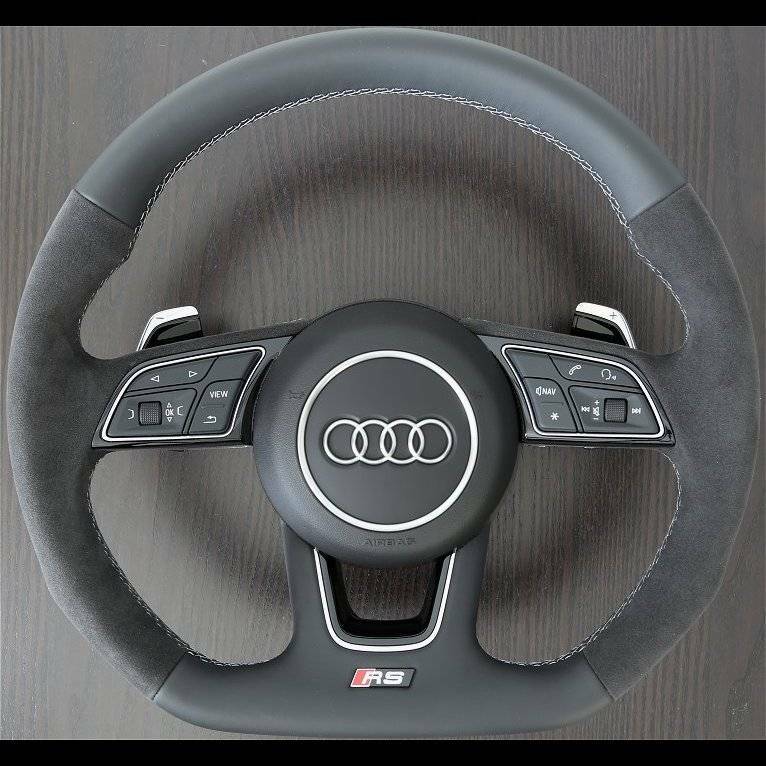 A thicker and more contoured flat-bottom steering wheel wrapped in smooth leather with alcantara sides with either red or grey stitching and extended shift paddles. Includes RS badging. *Note that the phone function and return will not work on pre-facelift models. All other buttons will function as they do with the original steering wheel and the track backwards and forwards buttons are functional.